Our Double Gold Gin Aged Like a Whiskey! Using the same 9 botanicals as our award winning Rehorst Gin we have created a unique gin with the addition of barrel resting. 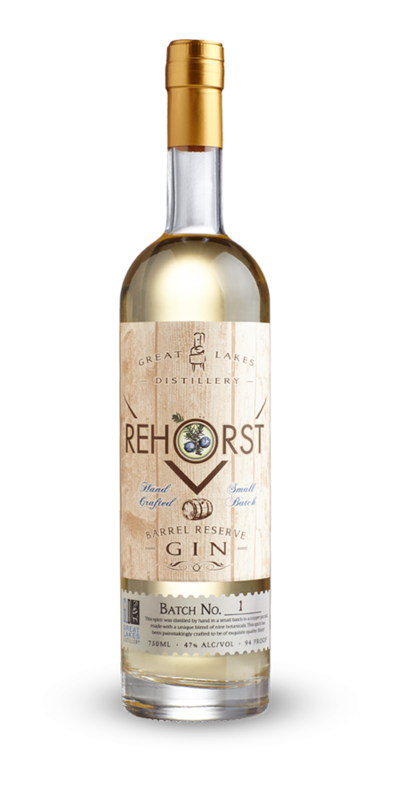 Barreling gives our Rehorst Barrel Reserve Gin a whole new dimension in flavor. Besides the usual gin botanicals, the exposure to oak adds characteristics typically found in whiskey or brandy..
Works great in traditional brown cocktails such as the Old Fashioned and Manhattan. Very limited production- only one barrel is available monthly.